This star stunning “10”, high-end Gossamer Cove remodel is steps from the water in this beautiful bayside village for the soul who loves the sea. 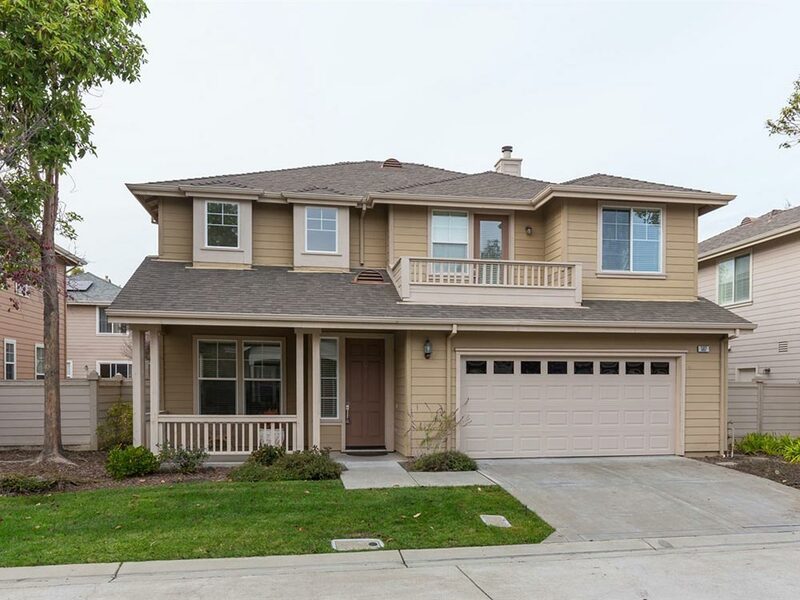 The 2-story Craftsman on quiet cul-de-sac exhibits beige wood shingle exterior which echoes the linear lines of the decorator showcase interior. The masterful 2,300 +/- sq. ft. floor plan starts at entry with the living room of sky high soaring ceilings and many windows that shed bright light. The gourmet kitchen with all-new stainless steel appliances, quartz counters, and designer backsplash is enticing to the finest of chefs. The great room/family room with fireplace has glass doors that access the charming back yard bejeweled with lawn and patio. A lovely staircase cascades upstairs to the 4 bedrooms, one which is a master, and 2 baths. All new are interior paint, exterior trim, laminate flooring, carpet, linoleum, door hardware, toilets, vanity lights, rear recessed lighting and wood blinds.